Boston-based “sludgy jangly pop” (per their Facebook About page) trio Vundabar went on an expansive North American tour with a number of different supporting acts. Vundabar came to Vancouver’s Fox Cabaret with support from El Monte, California’s The Red Pears and Washington’s Le Grotto. 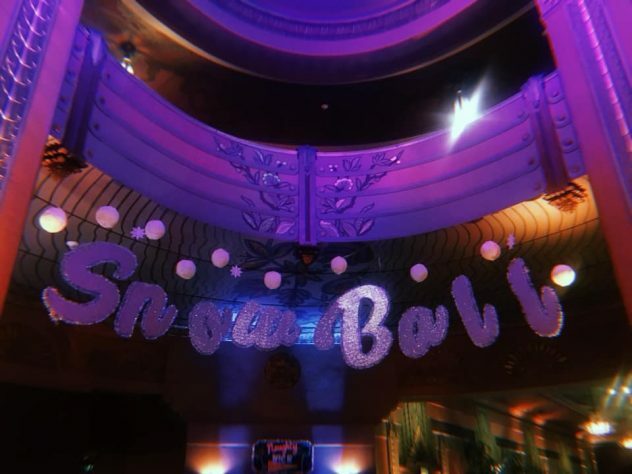 The Fox Cabaret is a historic venue in Vancouver’s hip Mount Pleasant neighborhood that hosts touring bands, themed dance parties, and intimate comedy shows. Until 2013, the Fox was actually an adult movie theater known as the Fox Cinema. 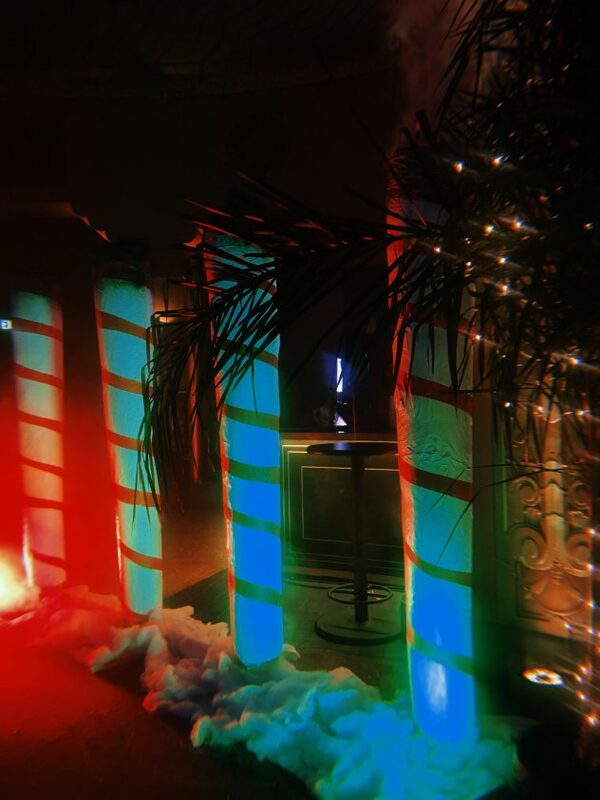 After a thorough cleaning and a major facelift, the Fox Cabaret was opened in 2014 among the craft breweries, vegan donut shops, and themed bars that populate the area. I arrived at the Fox around 9:00 and Le Grotto was midway through their set. The venue wasn’t full yet, but everyone who was there seemed into the band’s ‘70s-inspired rock (including me). I’d call them garage rock, but their Facebook genre is listed as “Vaping Rules”. Take my label with a grain of salt, I suppose. The Red Pears were up next. 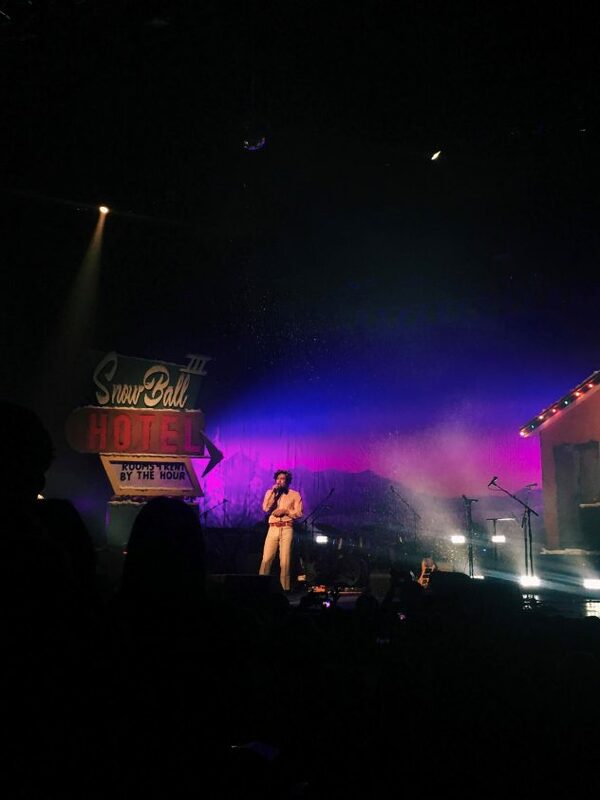 For a sad Canadian girl like me who’s perpetually missing the Southern California music scene, they were a nostalgic treat to have in Vancouver. They reminded me so much of all the local San Diego surf/garage rock bands that I miss dearly. As The Red Pears concluded their set and began packing up their equipment, the familiar sound of the Growlers rang out over the speakers. 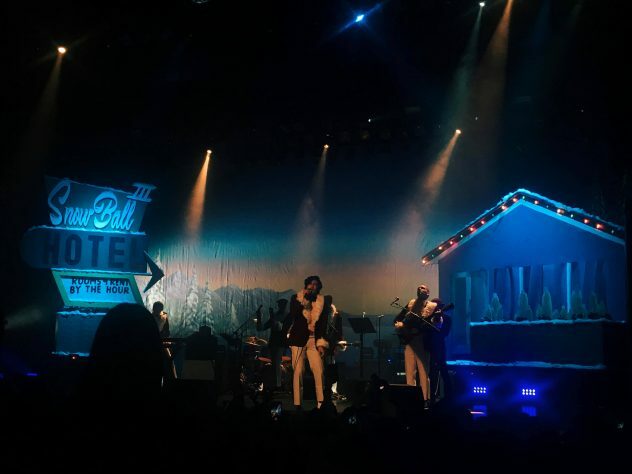 If you read my review of the Growlers’ Snow Ball show, you know that for me, there is only the Growlers. I danced around to “Who Loves the Scum?”, inadvertently clapping at the end as if I were actually at a Growlers show. Fortunately, The Fox Cabaret really knows how to get people excited for their next act. Vundabar came out around 10:00 as the crowd moved in toward the stage that has had countless pornographic films projected above it. They opened with “$$$”, a six-minute-long song from 2018’s Smell Smoke. Things were immediately off to an uproarious start. I find Vundabar’s sound a bit hard to describe. I hear a lot of grunge in the tracks from their newest record, Smell Smoke. However, the first single from that record, “Acetone”, leans much more towards pop punk. Their self-imposed “sludgy jangly pop” label feels pretty accurate, especially for 2015’s Gawk. Genre labels aside, the energy they put into their shows is infectious, and the crowd at the Fox reciprocated by keeping things rowdy throughout their set. The band played all their well-known favorites, including “Alien Blues”, “Holy Toledo”, and “Oulala”. Lead vocalist Brandon Hagen’s signature rapport with his bandmates and with the crowd made everything extra fun, particularly when a piece of the drum set went missing and we had to wait for a replacement to be brought out. Unfortunately, Vundabar’s set was cut short to allow time to set up for the 80s vs. 90s dance party that was scheduled after the show. For once, the band’s “last song” actually was the last song, as the crowd’s cheers for an encore were left unfulfilled. I, however, was treated to yet another song by the Growlers as the 80s vs. 90s DJs set up their booth. If we weren’t going to get a Vundabar encore, dancing around to “City Club” was good enough for me. 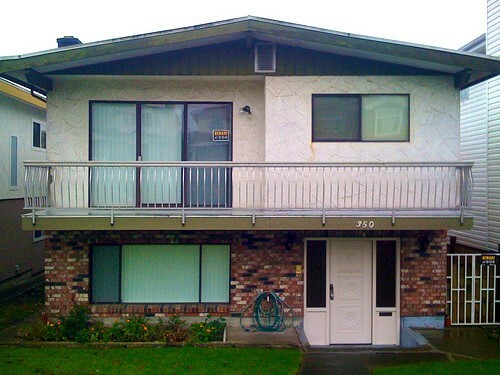 A “Vancouver Special” is a popular style of home that was built in Vancouver, British Columbia, Canada in mass quantities between the years of 1965 to 1985. The homes are boxlike and visually unappealing, often featuring a second-floor balcony on the front of the house and a stucco exterior with brick accents. Vancouver Specials are still seen in most Greater Vancouver neighborhoods despite the city’s major gentrification and increase in property development over the last few decades. Vancouver Special is also a new series on the KCR College Radio Blog featuring show reviews, interviews, and maybe other things located in/related to Vancouver. The series is written by KCR member and ex-SDSU exchange student Andrea Renney. This is KCR Canada. Indie? Grunge Pop? Surf Rock? Try and wrap your mind around the genre of the hard hitting album, “Hung at Heart,” by The Growlers. Frontman Brooks Nielsen provides the raspy vocals for this incredibly heartfelt album. From the get-go, the song “Someday” starts off the album with shimmering guitar riffs and smooth bass lines. This first track is a love letter to a significant other, promising better days and better meals. “When tall boys turn into champagne,” Nielsen sings as the song continues to foresee how he wants to provide a better life for his loved one. As a whole, the album is a perfect cohesion of love and lust. It’s hard to find a favorite song on this album, but one track that attention should be brought to is “Pet Shop Eyes.” Nielsen’s charismatic attitude comes through in this song, explaining how he’s not buying into another girl’s advances due to the sad and blasé way about her. He compliments her looks but tells her to move along, even joking that her sadness has him on the verge tears. All in all, if you’re looking for chill album to throw on in the background of your next party or if you’re looking for an album to make you feel at ease with your own personal strife, “Hung at Heart” is what you’re going to want play all the way through. The band has made an album that is danceable yet introspective at the same time. Released in 2013, “Hung at Heart” is reminiscent of late ’70s surf rock and blues.